Integrate knowledge gained from formal and informal education to enable tomorrow’s leaders to build a more sustainable Caribbean. Project concepts uploaded to the Challenge Website: February 16, 2013. National level judging in each participating Country: February 23 to March 23, 2013. The winning school in each country will then move on to the regional competition in Barbados on April 12 & 13, 2013. Student representatives and teachers of the winning teams from each national competition will also participate in an all-expenses-paid STEM Ambassador Program in Florida during Summer 2013.Please visit the Sagicor Visionaries Challenge Website for more information and to access resources such as Challenge description, rules and application forms. A description of the challenge can also be found in thisSagicor Visionaries Challenge Description Video. An example of a sample project is given in this Challenge Sample Project Video. Also visit our Sagicor Visionaries Facebook page) and, if you have any questions, send us an e-mail (info@sagicorvisionaries.org). An important part of the challenge involves mentoring for each team by one or more professionals assigned by the Caribbean Science Foundation. Mentoring will be done in person or remotely, and may include any or all of the following activities: providing feedback on ideas, answering questions related to ideas, reviewing competition materials, and sharing expertise & experiences. Our experience in the workshops made it very clear that most Caribbean secondary school students do not personally know a scientist or an engineer, or the wide variety of job opportunities available to scientists and engineers. Hence, your interaction with at least one student will help to change the face of science and engineering in the region. 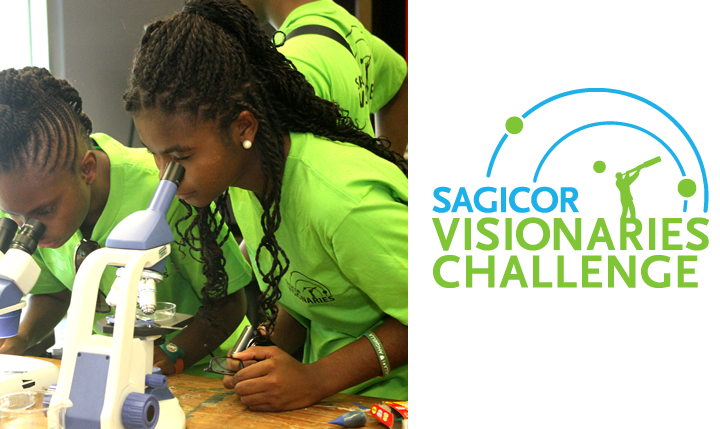 Persons interested in serving as mentors should fill out the Sagicor Visionaries Mentor Application Form. Our CSF team will match students with mentors based on areas of expertise. We really need your help with this challenge, so please spread the word about the Challenge to your friends, and encourage student teams at your high school to participate.